I love to flirt. Without a doubt, I’m no good at it. But, that doesn’t keep me from leaning my shoulder against a wall, winking at a lovely lady, and asking “How you doin’?” Honestly, I would fail at a women’s prison on conjugal visit day. 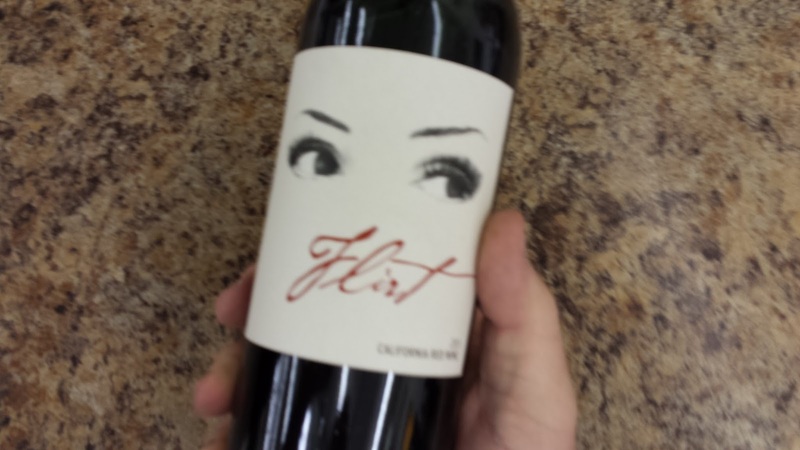 Luckily for us, Flirt Red Wine is better at seducing than I am. Sourced from some vineyards in Mendocino, Flirt is a blend of Syrah, Tempranillo, and Zinfandel. Some vintages in the past were made up with different grapes, but the 2011 contains a tasty blend of those grapes I listed. One of the things I enjoyed was that one varietal didn’t stand out far above the others. It was a well-crafted blend that highlights each varietal equally. Some of the tastes that came through were cherries and plums. I had to double check to make sure there wasn’t any Sangiovese in this wine because that was my initial thought. Nope. I was wrong, which only happens once a year. What are you laughing at!? The cherries and plums give it a fruitiness that could be misread as sweetness, but it isn’t. It’s just a big bowl of berries in a bottle. The tasty fruit was enveloped in a slight vanilla flavor which is a characteristic of using good oak barrels or oak planks. It was a fantastic finishing touch to this wine. And, speaking of finishing touches, the spiciness of the Syrah showed itself in the aftertaste. It was like a little kiss at the end of date. Y’know, so I’ve heard. Another great thing about Flirt Red Blend is that it doesn’t cost that much. For under $15, you can get a crowd-pleasing red wine with a nice label. So pick up a bottle of Flirt on the way to your next soiree. You’ll be the hit of the party. I’m taking my own advice and bringing one to the next party I’m invited to. So, if you want to invite me, just say so. Anybody? Anybody? Bueller? Sometimes when I write a restaurant review, I’m only in a town for a day or two, I find a place to eat, and if it’s delicious, I’ll write about it straight away. Since it’s fresh on my mind and I don’t want to forget the experience, I’ll make some quick notes and fire off a story when I get back to my computer. When I find a good place in my own hometown, however, I forget to write a review. My brain tells me, “You’ll remember to write about this place since it’s right down the street. Don’t take notes. 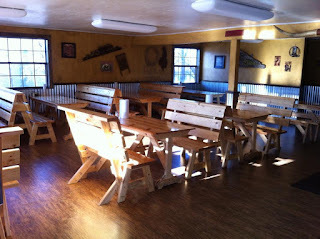 You’ve eaten here dozens of times.” This has been the case for a favorite haunt of mine, Okie Smokies BBQ. When I say that I’ve eaten there dozens of times, that is no exaggeration. To say that I’ve tried everything on the menu might be. Their menu is so big that I get a little overwhelmed and excited each time I go in. I’m pretty sure I’m missing out on something because my memory isn’t what it used to be. It doesn’t matter because it’s all delicious. The other night the family and I went in for some Q. Like always, I stand and stare at the chalk board menu for what seems like an eternity. People behind me fidget and make comments under their breath. I don’t care. I want to get the exact right thing. I should know by now that I could just say any barbecue related word and the folks behind the counter would bring out something tasty. That night I had the chopped brisket and hot links. I added some mac & cheese and corn on the cob for my sides. I grabbed some pickles and a drink, sat down and waited patiently. As usual, it came out pretty quickly. The brisket was lean, the hot links were, well, hot and the sides tasted like I was at a cookout. Home run again, Okie Smokies. Since I’ve been there a time or two…or thirty, I can assure you that brisket and links aren’t the only good thing on their giant menu. They also have the best turkey sandwich I’ve ever eaten. Also, I love the ribs, the pulled pork, the chicken, the catfish, the fries both regular and sweet potato, the burgers and on and on. If you’re in Grove, Oklahoma for any reason, make sure to swing by and see the great folks at Okie Smokies BBQ. You’ll walk away happy and satisfied. There's also a pretty good chance that you'll see me in there stuffing my face. A long time ago in the 1980’s, a guy named John Hall made a trip across Europe. Along the way, he tried a lot of beers that he thought would be great to have in the United States. As is too often the case, the story would probably end there with the phrase, “Yeah, that’d be cool.” But with John, that was not the case. He was trying to fly home and got stuck in Dallas as all travelers have at one point or another. John picked up a magazine and started thumbing through it. He happened upon an article about boutique beers gaining popularity in the U.S. It changed him forever. John says, “I must be the only person in history who made a major career change on the basis of a Delta Sky article.” We should all thank the author of that article and be glad that John was stuck at D/FW. In 1988, John started Goose Island Brewery and began making beer in Chicago. He made some, drank some, and shared some. Eventually, he started inviting people to watch the process of beer making. He developed a following with his beers and in 1995, expanded the brewery. A short time later, he expanded again. His beer repertoire was growing. He pioneered the idea of aging beers in Bourbon Barrels. Thanks for that, brother! He now makes a lot of different beers. Some are only available at certain times of the year, but others, like the one I’ve been drinking lately, are available all year round. For reference there is a beer calendar on their website. As usual, I listed it below. 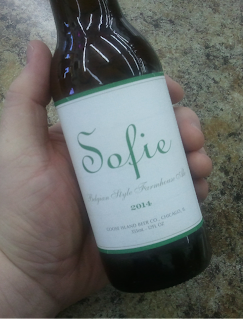 John named the Sofie Farmhouse Ale after his granddaughter. Something I would totally do too. Farmhouse Ale was originally made by farm owners in Belgium as an easy drinking summer beer for when farm hands needed a break in the middle of a hot day. Now you don’t have to bale hay and fix fence line to enjoy a Farmhouse. All you need is a cool beer store. The beer is aged in wine barrels with some fresh orange peels added. This gives the beer a distinct citrusy taste without being a fruit beer. You taste all the toasty malt and fresh hops and the orange is an afterthought. It is crisp and clean, refreshing and smooth. What a beer! Sofie the beer is 6.5% ABV and 25 IBUs. Cheers! Something old, something new, something borrowed…I can’t think of anything blue about this wine. Oh! I’m blue because I only bought one bottle. Cue a sad Tom Waits tune. On the bright side, my wine shop carries Beran Zinfandel so I am never far from replenishment. Something New: They use some grapes from new growth vines. Something Borrowed: A wealth of knowledge on how to produce wonderful Zin. This Red Zinfandel falls under the umbrella of Copper Cane Wines. That includes Elouan Pinot Noir from Oregon and the California Red and White Blends of Carne Humana. 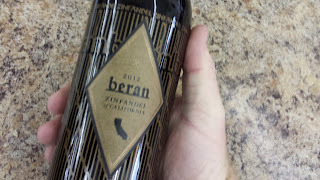 The third label is what I happily sampled the other night, Beran Zinfandel. The winemakers have sourced Zin grapes from all the major viticulture areas in California to make up this tasty wine. Using old and new growth vines automatically makes it complex since they each impart different flavors. Something else that is characteristic of Zin grapes is that climate really affects what they taste like. This, of course, affects how the wine will taste. Hot climates tend to give the wines spiciness and dark fruit characteristics. Cooler climates give the wines a soft, blackberry jam taste. This wine is a perfect blend of the all of those things. As you may well know, I’m impatient when it comes to opening a bottle of wine. I have to drink some right away even though it’s usually a good idea to let reds air out for a few minutes. It’s kind of like coffee. Take a sip right away and it won’t taste like much and it will scald your uvula. But if you let it sit for a few minutes, you can actually taste the flavors. Same with wine. Letting it aerate for a little bit will open up the flavors and you can taste a lot of subtle things you missed by gulping that first glass. What I tasted when I jumped the gun and sipped the freshly poured juice was a strong hit of oaky vanilla and dark berries with some pretty tight tannins. While it was good, I knew that if I was patient and waited, a whole world of smells and flavors would present themselves. And they did. The oak influence settled down and the fruit brightened up. There were all kinds of esters floating around reminding me of boysenberries, a hint of cranberry, and a rich blackberry tart. At the tail end of the mouthful, the typical peppery flavor showed itself. I was eating some grilled bratwurst and hot links when I had this Zin and it was quite enjoyable. 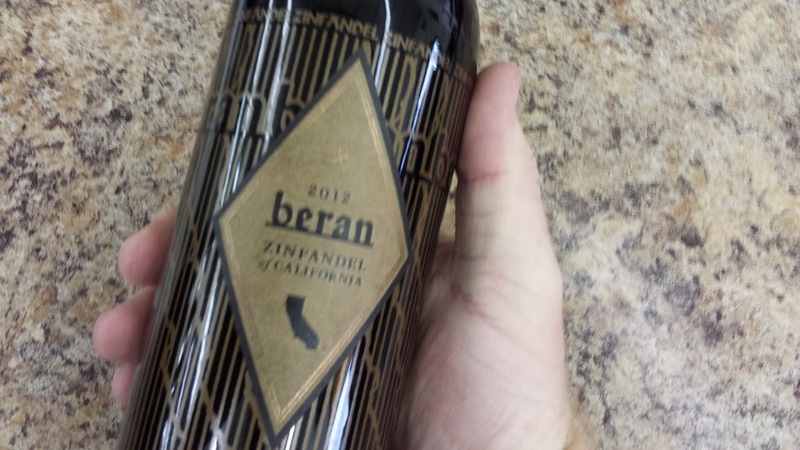 If you like red wines at all, you should try Beran Zinfandel. It’s subtly complex without being complicated. Easy to drink. Easy to love. Cheers! Reinheitsgebot. I love to say it. I love what it means and represents. It is the German word for the beer purity laws passed in Bavaria in the year 1516. It is pronounced rine-HITES-gu-boat and I say it to myself in a thick German accent far too often. One of my favorite beers follows the rules of the beer laws by only having the three ingredients Water, Barley, and Hops. Of course yeast is part of the equation but it’s not a part of the actual law. That beer is Hacker-Pschorr Munich Gold. In the late 1700’s, Joseph Pschorr bought a brewery from his father-in-law and named it the Pschorr Brewery. They were doing pretty well so they opened another brewery named the Hacker Brewery. They sold beers separately up until the mid-1970’s. After that, they merged into what they are today. Back when they were first getting things cranking up in the brewery, a young lad named Prince Ludwig I of Bavaria asked a few local brewers to come up with a special brew for his wedding. From that inquiry, Oktoberfest was born. Munich brewers are the only beer makers that are allowed at the original celebration in Germany and Hacker-Pschorr is one of them. But, like most other brewers, they aren’t satisfied being a one trick pony. 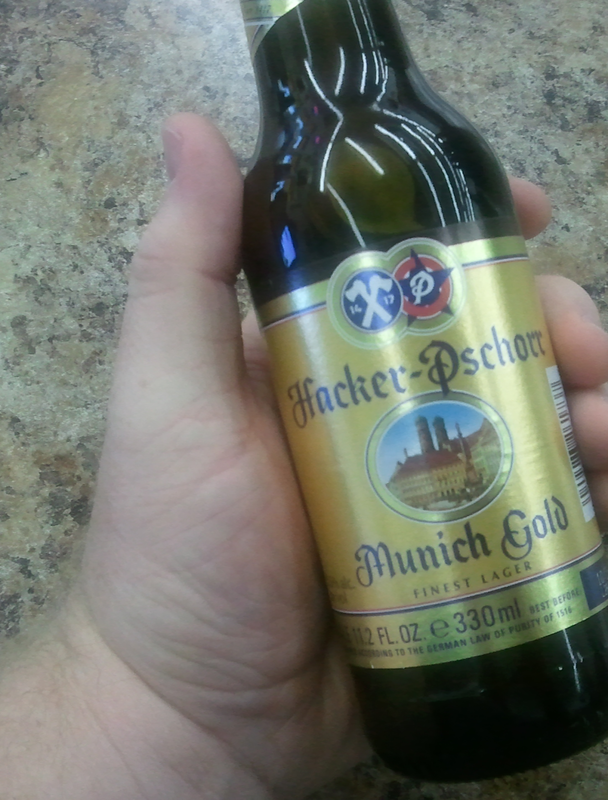 One of their other beers is the Munich Gold. It tastes a little heavier than it looks. It has a slightly pale yellow color but it is full of beery goodness. On the first drink, I noticed a nice toasty grain flavor. It was crisp even though it had a touch of malty sweetness. As it trailed off down the pipe, there was a grassy, happy, hoppy ending. A tinge of spice from the low but flavorful hop content makes this beer a terrific blend of all the things that make beer wonderful. It clocks in at 5.5% ABV and has a 15 IBU. Grab a sixer and make a night of it! Prost und Reinheitsgebot! 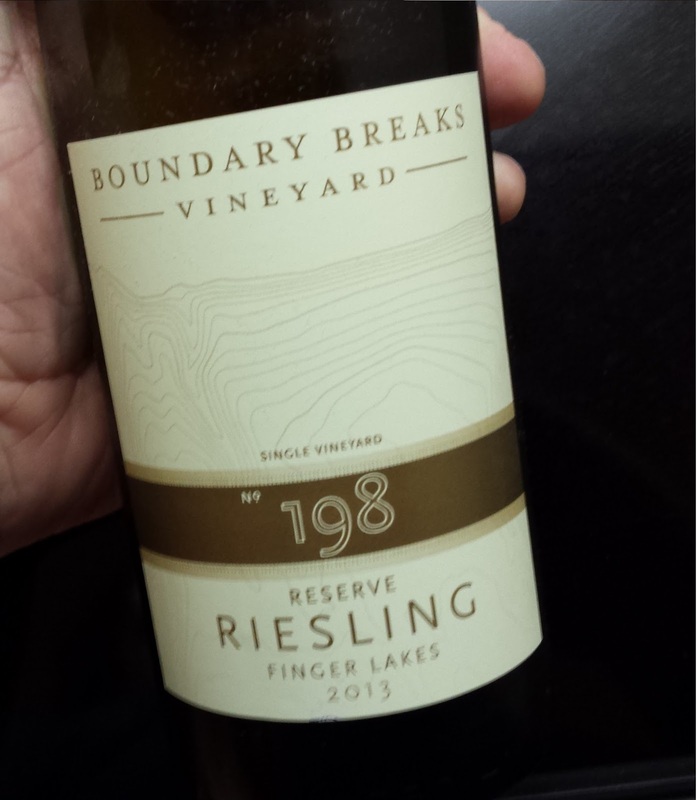 The 198 is the clone from which this single vineyard Riesling was made. Its color was pretty much like every other Riesling, a soft, pale yellow. That’s where the similarities ran out. Unlike some of the Rieslings I’ve tried in the past, this one didn’t have an oily feel or a cloying sweetness. It was clean, slightly crisp and completely delicious. I tasted mild fruits like passion fruit and Porter peach. It might sound weird, but I tasted a honeyed tea on the finish. I haven’t tried all the Rieslings in the world but I’ve tried a heckuva lot of them and this was as close to perfect as I’ve tasted. I would drink this with spicy Thai food, sushi, Buffalo wings, bagels with lox and cream cheese, or a fruit-based dessert like pie. This was truly a world class wine from a hopefully up and coming wine region and vineyard. Cheers.